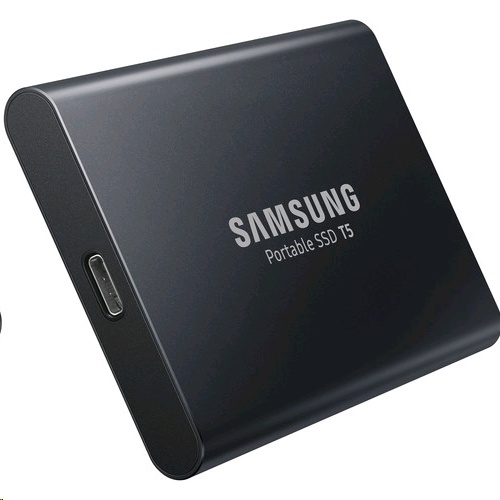 The Samsung Portable SSD T5 sets the standard for speed, capacity, durability and connectivity. Store data safely and move it wherever it's needed. A trifecta of protection, the shock-resistant T5 has a strong exterior metal body, internal support frame and optional AES 256-bit hardware encryption prepared for demands of life.